Zhelezobetons’ fine array of releases is widened once more with a new release by the peculiar Sal Solaris. Compiled on this album are twelve tracks from various compilation albums, as well as previously unreleased music. Together they create a document that is sophisticated enough to challenge the mind of the listeners, yet meditative and sometimes even minimal. This mind provoking mediation goes through heavy power ambience that draws its mark on the brain like an icebreaker ship through an unknown, frozen frontier. It then develops into a twisted blend of classical recordings and disfigured mental feedbacks that bombard the psyche with an almost shamanic overview over cultural nostalgia. Bombastic folk noir themes merge together minimalist power electronics and scorched remnants of distant vocals. 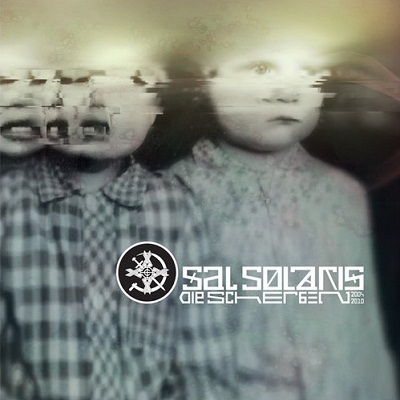 Even though most of this album was originally recorded and dedicated for various other compilation albums on several occasions, Sal Solaris manages to bring together a creation that sounds solid, distinct and as persuasive as an album that was thought of and recorded as one whole unit. Personally, I find the beginning and the end of this album to be more to my taste, but as a whole, this is one fantastic creation.